NoWPaS, the International (formerly Nordic) Workshop for PhD and post-doctoral fellows working on anadromous Salmonids, is an annual workshop which consists almost entirely of early career researchers (ECRs) with a focus on PhD students. The workshop, organised by a committee of PhD students, allows a small group ECRs to present their research programme and ideas, along with any results that they might have already collected. The workshop is mobile in that each year it is hosted in a new country. In the past, it has been held in Norway, Finland, Canada and the United Kingdom. 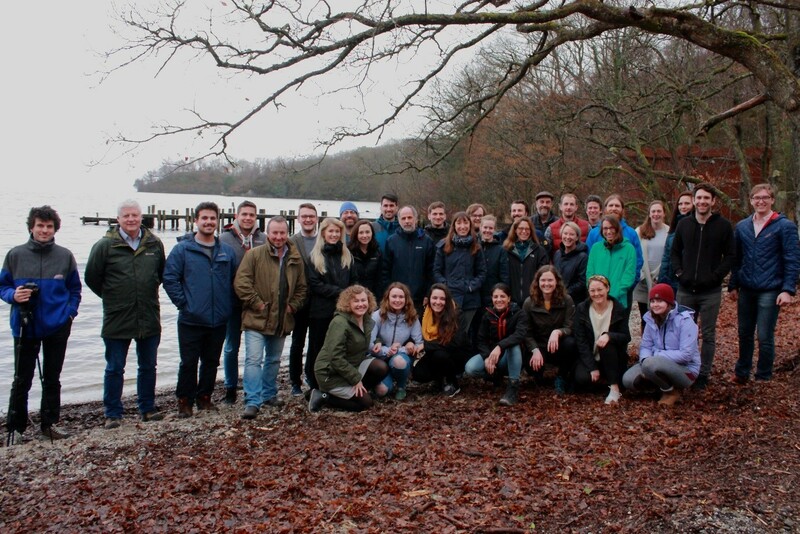 The NoWPaS 2019 meeting was held in the Loch Lomond and Trossachs National Park, Scotland, at the Scottish Centre for Ecology and the Natural Environment (SCENE), the University of Glasgow’s field research station. Twenty-nine Masters and PhD students, and Post-Doctoral fellows attended NoWPaS 2019, along with four keynote speakers and four invited speakers, from 14 countries. The three categories were further filled by the excellent presentations of our ECR delegates. These presentations predominantly related to Atlantic salmon, but also covered brown/​sea trout and Arctic charr. The topics ranged from population and individual scale genetics to gut-microbiome and physiology, and from movement and behaviour ecology to long-term trends in salmonid population fluctuations from historical datasets. If you are a Masters or PhD student or an early career Post-Doc and are interested in attending NoWPaS 2020, please follow us on Twitter (@NoWPaS), Instagram (@nowpas), or request to join our Facebook group (NoWPaS-Salmonid Network). We will be posting updates about how to register later in the year. The gripping enthusiasm for keeping the NoWPaS momentum going at the end of the meeting guarantees that the workshop continues to be a favourite among salmonid biologists! One of the main principles of the workshop is that it is free to attend for all participants (keynote speakers included). Transport costs are covered for the invited scientists, along with accommodation and food for all participants. To our knowledge, no early stage researcher has ever been unable to attend a NoWPaS workshop due to financial constraints. It is something we are extremely proud of and this principle would not be possible without the generous support of all our sponsors, shown below.